Over the course of a 30-year career, Eddie Izzard has proven himself to be a creative chameleon, inhabiting the stage and film and television screens with an unbelievable fervor. Born in Yemen and raised in Ireland, Wales, and postwar England, he lost his mother at the age of six. In his teens he dropped out of university and took to the streets of London as part of a two-man escape act; when his partner went on vacation, Izzard kept busy by inventing a one-man act, and thus a career was ignited. My three least favorite words: "End of footnote." Well now the bangers and mash have really hit the fan. And the only person who can possibly make things right . . . is Pocket. Now he's going to have do some very fancy maneuvering: cast some spells, start a war or two - the usual stuff - to get Cordelia back into Daddy Lear's good graces, to derail the fiendish power plays of Cordelia's twisted sisters, and to shag every lusciously shaggable wench who's amenable to shagging along the way. Pocket may be a fool...but he's definitely not an idiot. This is story of King Lear through the eyes of his fool (court jester) named Pocket. Like his other stories his characters are witty, unique and at times crass. I will warn you that there is colorful language throughout the story. Not the normal language you would hear on cable TV, but new colorful language that only CM could create. There are lots of sexual references as well. If you are not completely opposed to these things you will enjoy this book. 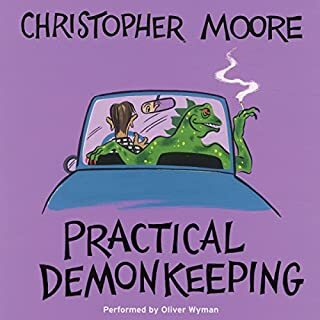 If you enjoy witches and potions, knights and wenches, kings that go crazy, dysfunctional families and the occasional shagging then this is the book for you. The narrator does a good job and adds to the story with his appropriate accent. It is a great listen and will have you laughing out loud. I Learned Some New Vocabulary! If you don't like bad language, avoid this book. If you don't like hilariously, irreverently, ridiculously convoluted sexual situations, don't read this book. 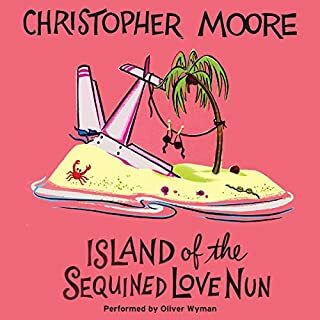 If you're ok with some major naughtyness and are willing to be transported to a fictional time and place ever-so-loosely based on a number of Shakespearean works, jump in and be prepared to laugh as I did. I got an extra added bonus from this fine piece of "literature" - I now know a few new dog-snoggingly wicked phrases to use in impolite society! I can't remember the last time I've enjoyed a story so much. It's is funny, imaginative and outrageous. Every character is rounded out with a minimum of background work, with the exception of Fool. They just walk in and sit right down - often on your lap. 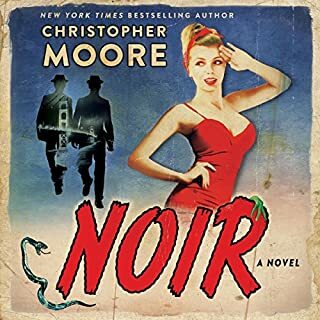 Christopher Moore's storytelling is intimate and familiar with nary a smirk to be heard. Euan Morton's reading makes even the most bawdy language seem as proper as an afternoon tea and brings all the characters to technicolor life. If I have any complaint, it's that it is too short. I could listen to this hilarious tale for days on end. Shagalicious! When I received the email from Audible announcing this was on audio I jumped for joy. I started looking last week at the library to see if had been ordered there yet. Thank you audible for making this a special, I am broke and did not want to miss this book. 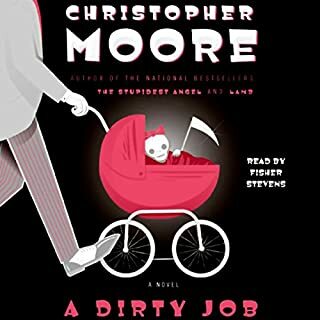 After listening I would have paid full price, it is typical Christopher Moore. Funny, intelligent, brilliant. Everything you expect from him and more. 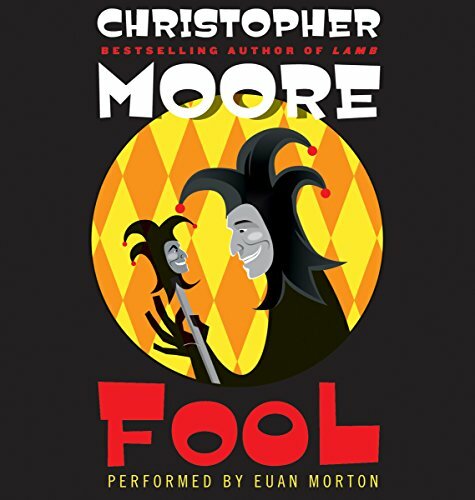 It makes me want to actually read King Lear, but I won't so as not to ruin Moore's version. I just finished it this morning and plan to start it again to catch things I might have missed the first time. There are quite a few characters to keep track of but the reader does an excellent job with the voices so you can tell them apart. I love Drool, and Pocket. Do not pass this one by, it might just become my favorite! This is the funniest book I have read to date. When I got to the end of the book, I flipped back to the front and started again! In preparing to write this review I realized that I've listened to over 170 audible titles. This one stands out for both the narrator and the quality of the writing. The main character is "Pocket" and his jests and insults are extraordinarily creative and laugh out loud funny. Irreverent does not begin to describe his language and behavior. Great Listen - Need more Morton! 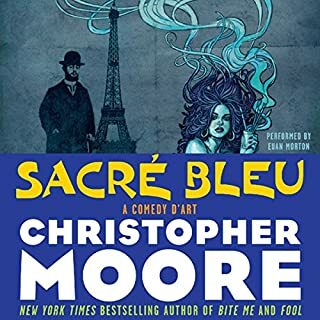 I listen to audiobooks hours every day, and this is one of my absolute favorites. The reading/performance by Euan Morton is absolutely phenomenal. He was very good as Paul in the Dune books, I think it was 2 books, but on those I think he was limited to just the one character. He is superb with this book! We need more Morton!